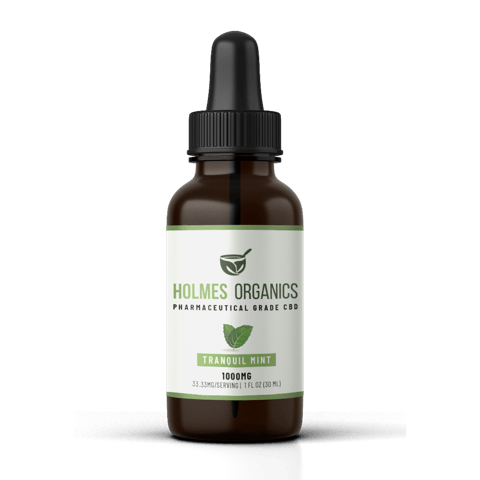 Holmes Organics CBD Oil Tinctures provides broad-spectrum, completely THC-free CBD with a delightful taste. Their Tranquil Peppermint CBD oil provides its dose in an easy-to-take light oil that, for peppermint connoisseurs, delivers a true peppermint flavor: bright, smooth, and with a very gentle peppery bite, gently softened with natural stevia sweetener. Those who do not particularly enjoy the earthy taste often associated with CBD oil will be pleasantly surprised by the light, fresh quality of the taste. And those who do not like overly-sweetened oils will also be pleased with the light hand Holmes Organics uses with the stevia. Those who do enjoy the natural earthy flavor of CBD oil are in luck: Holmes Organics also offers a Natural flavor. 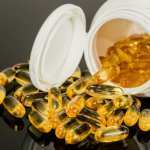 While Holmes Organics does not suggest any specific dosages, our reviewer noticed definite relaxation and sleep-promoting effects with a dosage of about two dropperfuls (30 mg). Everyone’s chemistry and experience with CBD oil is different, however — so it’s always a good idea to start small and work your way up if you desire a stronger effect. Two flavors and three different strengths of oil to meet your specific needs. Holmes Organics CBD Oil Tincture left us relaxed and promoted restful sleep, while delighting our tastebuds with its lightly sweet mint flavor. Holmes Organics paid us a fee and offered us free products in return for our honest opinion. If you purchase a product from one of these links, we’ll receive a percentage of sales. Read more about sponsored content on Ministry of Hemp. Keep reading for our full review of Holmes Organics CBD Oil. Holmes Organics is a minority-owned company offers that rare combination: broad-spectrum THC free CBD oil. It’s made from a specialty strain of hemp bred to be high in CBD. 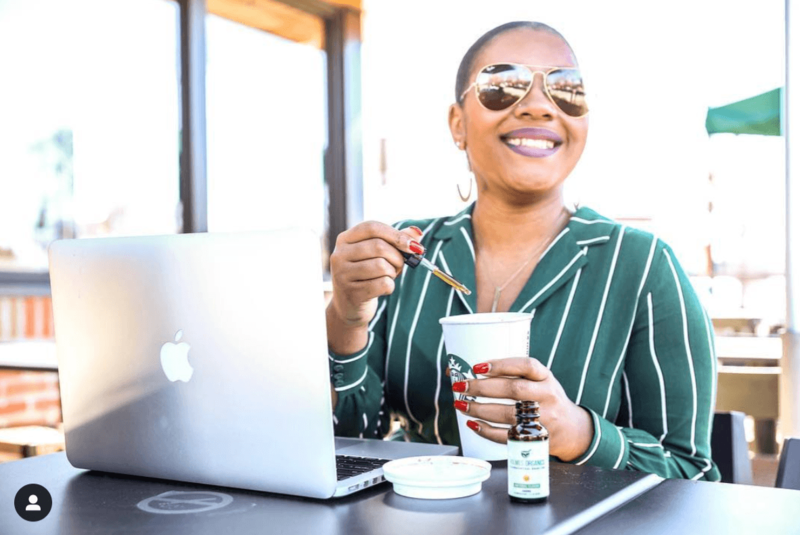 As a black business owner, founder Cory Holmes believes producing completely THC-free CBD oil is vital for his and other marginalized communities. 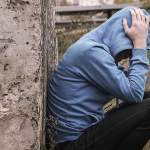 Holmes understands this reality only too well, and started Holmes Organics when he discovered the benefits of CBD oil on his own when researching ways to combat his own stress and trauma from dealing with the legacy of racism and violence in his own neighborhood, as well as head trauma from college football injuries. 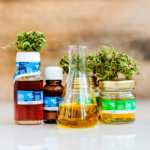 In addition to offering products with high-quality THC-free CBD oil, Holmes Organics has a particularly robust hemp-based wellness blog full of timely information, recipes, and focused articles on mental health and sexual health. Many pieces devote time to focusing on information especially helpful to those from marginalized communities. Holmes Organics offers two types of lab results, both internal and backed up by a third-party. Highlights: Holmes Organics CBD Oil is an organic, broad-spectrum oil with all natural beneficial phytocannabinoids, terpenes, terpenoids and flavonoids contained in hemp preserved. Strength: 16.67 mg of organic full-spectrum CBD oil per dropperful, 30 servings per bottle. Price: $69.95 ($44.95 current sale price) for 500 mg. Customer Service & Shipping: Fast, helpful customer service. Free shipping within the US. Flavor & Texture: This oil-based tincture has a light mouthfeel and a pleasant, true-peppermint flavor that is not too sweet. It is also available in Natural flavor. Ingredients: Organically-grown full-spectrum phytocannabinoid-rich hemp oil, hemp seed oil, grape seed oil, peppermint oil, and stevia. Holmes Organics makes their products from organic hemp grown in Colorado. They also make CBD dog treats, along with salve, softgels and even CBD bath bombs. 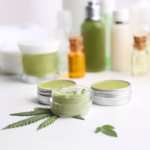 They also plan on releasing skincare and hair care products infused with their CBD oil soon. Holmes Organics also offers an unlimited 15 percent discount on all products for veterans. Haddayr Copley-Woods lives in Minneapolis, Minnesota. 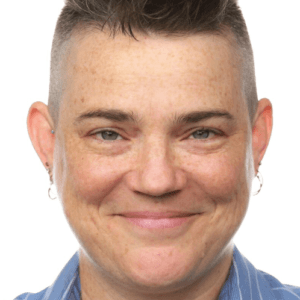 Her essays have appeared in places such as Minnesota Public Radio, "Listen to your Mother," "Apex," and "Disabled People Destroy Science Fiction." Read more of her essays and fiction at haddayr.com.